Offshore tax havens cost the US $100 billion in lost revenue every year. We already know Mitt Romney has multiple investments in the Cayman Islands, which critics have claimed shield a portion of his finances from the US Treasury. Perhaps, but the taxes you dodge by parking your stash in the Caymans aren't personal income taxes, they're your offshore investment funds’ corporate taxes. So the Romney's aren't evading income taxes by placing money in the Caymans - rather the funds they deposit their money into evade taxes by being situated in the Cayman Islands. It would be funny, I suppose, if last week the nation had not watched him tell a room full of his fellow multimillionaires that almost half the citizens of the United States are dependents and deadbeats for failing to pay their full share of taxes! 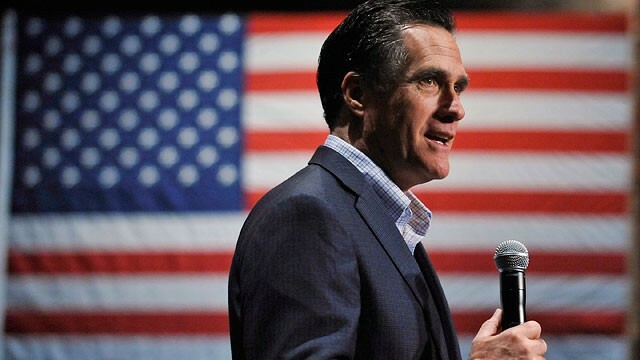 That video revealed Romney as the kind of man who loudly scolds others for actions he apparently practices himself. Democrats have hammered him for his inconsistencies and contradictions on the subject, but Republicans dismiss them all and insist they don't matter. If they don't matter though, why are there everywhere in the news? On Friday the Romney campaign revealed he paid $1.9 million in taxes on $13.7 million of income in 2011, which is a 14.1 percent rate. Since most of his income comes from his investments it's taxed at a top rate of 15 percent, rather than the top rate of 35 percent for wages. Remember that 13 or 14 percent tax rates are tax levels that most ordinary working stiffs can only dream of. You may also be interested to know that corporate taxes have dropped from 32 percent in 1952 to less than just 9 percent today. But payroll taxes have risen from 10 percent of federal revenue in 1952 to 40 percent now. It’s the best of times, it’s the worst of times. For American billionaires there’s no doubt it’s the best of all possible worlds and the outlook keeps brightening, but Romney wants to comfort the already supremely comfortable with an even bigger tax cut bonanza whilst telling the 47% they'll have to cut back soon. Democrats aren't proposing massive tax cuts for the rich, to be paid for by closing unspecified loopholes and deductions - so one can only wonder will the deductions Romney's proposes to close be ones that middle class families rely on? We don't know yet, he hasn't said. Clinton isn't kidding. Offshore tax havens cost the US $100 billion in lost revenue every year, $1 trillion over the last decade. In 2010 making up for this lost revenue cost the average U.S. tax filer $434. In 2009 President Obama launched a major initiative against overseas tax havens with new tax laws, new reporting requirements and an ongoing investigation by 800 new IRS agents. Obama sees it as a problem. Want to bet that'll continue under Romney?